Let’s clean up our language! Exodus 23:13, Make no mention of the name of other gods, neither let it be heard out of your mouth. (See also Ps 16:4.) Not only is YHVH against the worship of pagan deities and wants their names to be destroyed (Deut 12:3), but he says that he will take from the lips of his people the names of pagan deities (Hos 2:17), and eventually, he will restore a pure language (presumably one that is free of pagan names) to his people (Zeph  3:9). Obeying this Torah principle today is difficult, since so many common words such the days of the week and some of the months of the year are named for pagan deities making normal communication without using these names difficult. Nevertheless, the redeemed righteous of YHVH will endeavor to be mindful of this command and speak as cleanly as possible. Since this commandment immediately follows commands regarding the weekly Sabbath and the biblical feasts, which are times YHVH has commanded his people to assemble, this is a clear remez or hint that YHVH’s saints should guard against mentioning the names of pagan gods when they gather together to worship Elohim. To mention the names of pagan deities is a slap in the face of the one and only true Elohim! The rediscovery and use of the biblical names of deity is a fundamental aspect of returning to the Hebraic roots of the Christian faith. It is an essential element of coming out of pagan Babylonianism, getting back to biblical basics, and the restoration of biblical truths in the end times as the following article explains. 14 And Elohim said unto Moses, I AM THAT I AM (EHYEH ASHER EHYEH VHVT RAT VHVT): and he said, Thus shalt thou say unto the children of Israel, I AM (EHYEH VHVT) hath sent me unto you. 15 And Elohim said moreover unto Moses, Thus shalt thou say unto the children of Israel, YHVH (vuvh) the Elohim of your fathers, the Elohim of Abraham, the Elohim of Isaac, and the Elohim of Jacob, hath sent me unto you: this is my name [Heb. shem] for ever, and this is my memorial [Heb. zeker] unto all generations. New Video: Why Use the Hebrew Names of Elohim? Why use the Hebrew names for Elohim? Short answer: Because the Bible, the Word of Elohim tells us to do so. Men in their “wisdom” always have “better ideas” about things than to follow the simple commands of Elohim. Both the mainstream church and mainstream Judaism are guilty of adhering to doctrines and traditions of men by which the Word of Elohim has been made of none-effect. The is definitely true with regard to their non-use of the biblical Hebrew names of Elohim. This video addresses the following issues: What’s the big deal with the Hebrew names of Elohim as found in the Bible? Should we be using them? What’s wrong with the pagan name substitutes for Elohim that are found in our English Bibles? How is the resurgence of the use of the Hebrew names among Bible believers worldwide a fulfillment of biblical prophecy? 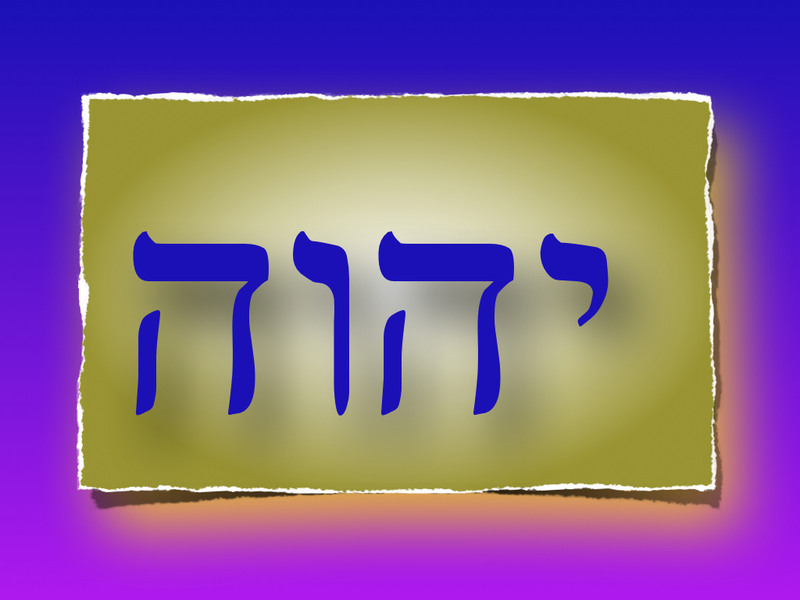 What do the Scriptures say about the importance of using the Hebrew names for Elohim? This video answers these questions and much more. The Scriptures clearly teach us that YHVH wants his people to use his Hebrew names and titles (e.g., YHVH, Yah, El, Elohim, Adonai and Yeshua). If not, than why is “YHVH,” the personal name of the biblical deity, found in the Tanakh (or Old Testament) almost 7000 times? The problem is that YHVH’s people have forgotten YHVH’s Hebrew names and worshipped pagan gods instead (Ps 44:20; Jer 23:27). Interesting, it’s a fact that most of our common English substitutes for the Hebrew names of Elohim derive from the names of pagan deities (e.g., God, Lord, Holy, Christ, Jesus). At the same time, the Scriptures prophesy that YHVH’s name will be restored and used again (Jer 23:6; 31:23; Ezek 39:7). Interestingly, Satan’s name has never been changed down through the millennia from one language to another. The names of significant Hebrew biblical personalities along with Greek and Roman notable historical figures remain essentially unchanged to our day. However, the Hebrew names of Elohim and his Messiah not only have been changed, but often masked under the names of pre-exisiting pagan deities. Doesn’t this sound like a satanic conspiracy to hide the true identity of the Elohim of the Bible? It’s time for the YHVH’s people to stop acquiescing to these demonic plots begin using the true Hebrew names of Elohim. In biblical times, YHVH’s name was so precious to his people that the Israelites used it respectfully as a common greeting (Ruth 2:4; Ps 129:8; Jer 31:23). 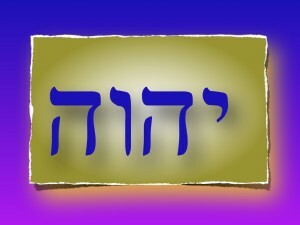 In the future, the Hebrew name YHVH will be applied to Yeshua at his second coming (Ps 118:26; Matt 23:39). Why shouldn’t his people start using it once again?